In the next step, you’re trying to see how you can best beat the competition in your selected market by identifying opportunities and gaps. Effective competitive benchmarking takes both the macro and micro views into account. The macro view: Comp shopping at a higher level by identifying the market segment and brand positioning of competitors. The micro view: Drilling down to monitor the assortment, product placement, pricing and promotions. Before the technology era, physically visiting a store was the only form of comp shopping. 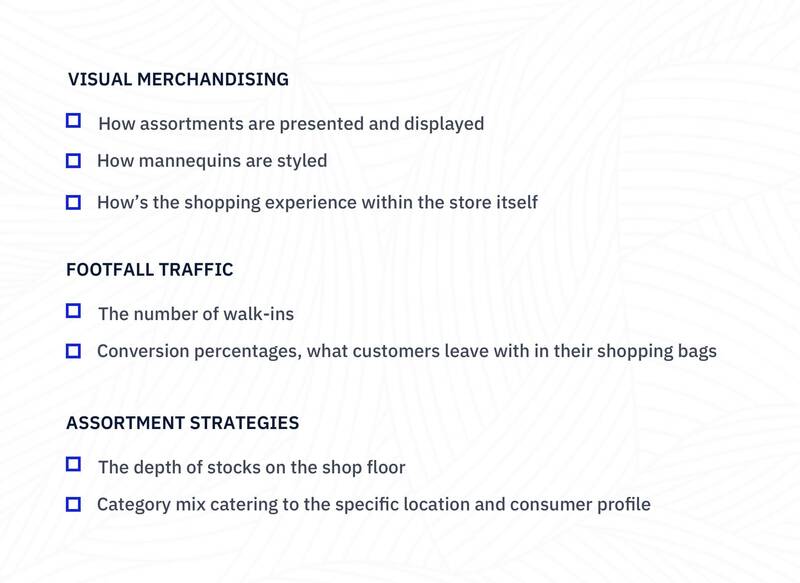 A buyer would visit the competitor’s brick-and-mortar store to analyse its offerings. When you’re physically in the store, you can validate the materials, styles and features of the products and compare against the prices. 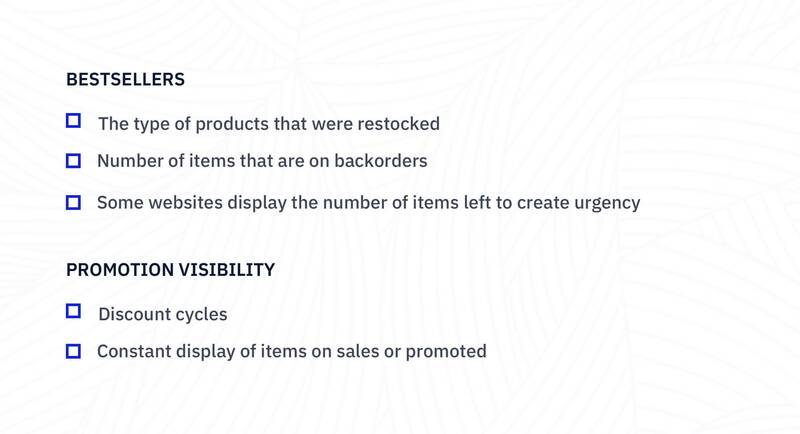 What you see in-store may not be selling well, nor will you have information on the restocking levels. Sifting through many items to count the number of sizes, colours and categories take a lot of hours, not to mention a lot of memory power. Unless you have a really big budget to travel overseas, physical comp shopping is geographically restrictive, which makes it hard for you to expand your scope. When eCommerce gained popularity, digital comp shopping was the next comp shopping format. Popular methods include comp shopping on social media or going to the competitor’s website. You can visit popular international stores, like ASOS or Boohoo, to identify their assortment strategies and promotion visibility. Digital comp shopping would already have all of the necessary information readily available, such as measurement sizes and the materials blend. Engagements don’t translate to sales, especially in a world where followers and likes can be bought. Even in the comfort of your own home or office, digital comp shopping still requires you to scroll through hundreds and thousands of images and information. While the gaps of physical comp shopping can be filled by going digital, it still doesn’t eradicate the endless hours filtering, browsing and compiling information. Even with digital comp shopping, you still need to manually extract information and input into a spreadsheet – as most brand owners do. While both methods of comparison shopping can be utilised to get the job done, but in an ever-changing market, both methods simply do not get the job done well enough. In a market where one wrong move can cost the entire business, it’s crucial to always be a step ahead. The next chapter details how to comp shop effectively.